The University of Alaska Southeast Sitka Campus - Something for Everyone. The University of Alaska Southeast spring 2017 class schedule search is available on the UAOnline and on the University Sitka campus website. 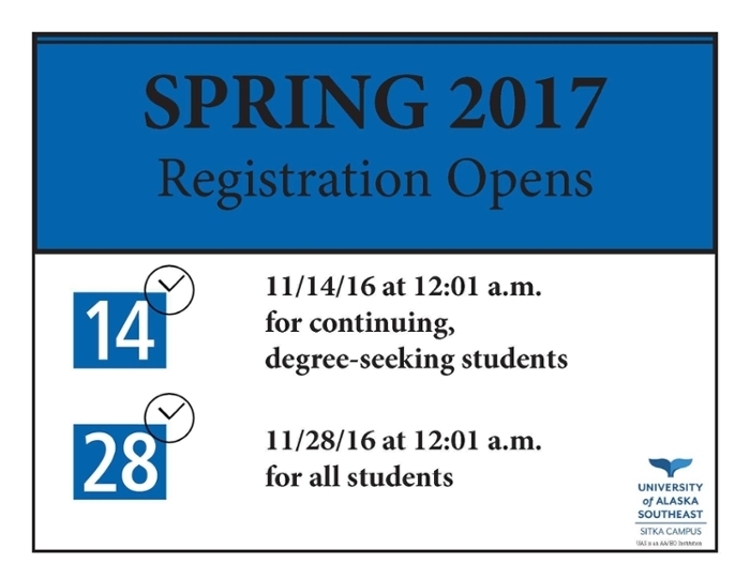 To check out what classes will be offered for the spring semester please go to https://uaonline.alaska.edu/ or http://www.uas.alaska.edu/schedule/spring.html **Spring 2017 registration begins (UAS program students) on November 14 and open registration begins on November 28th. If you have any questions or would like more information please contact us.